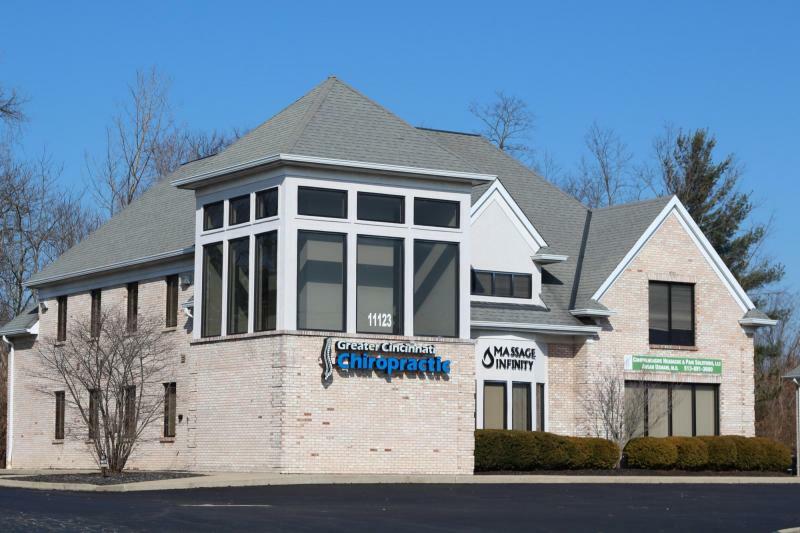 Welcome to Greater Cincinnati Chiropractic, Cincinnati’s favorite chiropractic clinic! Whatever health concern brought you to our website, we are glad you made it. At Greater Cincinnati Chiropractic we treat our patients like family. Our doctors and friendly staff are dedicated to serving all of your chiropractic needs. At Greater Cincinnati Chiropractic, we choose specific chiropractic solutions to target your unique needs, whether you are suffering from back pain, neck pain, headaches, or even just plain old muscular tightness and tension we have a solution to getting you out of pain and back to your everyday activities. Click On the Picture To Take a Virtual Office Tour! Come check out our state of the art chiropractic clinic on Montgomery Rd! We are conveniently located right off I-275 Exit 50. Our office is 1/4 mile on the left heading north on Montgomery Rd, at the corner of Cornell Rd. Whether you need pain relief after suffering from a car accident, experience a fall or an injury, or if you have a specific condition such as chronic back pain or a spinal condition; even if you just want to improve your overall health, our chiropractors, Dr. Garrett Gallentine and Dr. Michael Hekler can help you achieve your wellness goals! Please visit the testimonials page to see what our patients are saying about our Cincinnati Chiropractors and getting regular chiropractic treatments. If you are new to seeing a chiropractor and want to find out more, please email us or call 513-469-6400 to receive personalized answers to your questions from our friendly team. We also welcome referrals, so feel free to share our health information with your friends and loved ones. As a Patient Care Coordinator with Greater Cincinnati Chiropractic it is my job to ensure patients are having the most positive experience possible. From greeting them as soon as they walk in the door, checking in the patient, starting the patient on therapy and the rest of their treatment in the office I make sure the process runs smoothly. Hi! Welcome to our website. My name is Dr. Garrett Gallentine, and I am the chiropractor here at Greater Cincinnati Chiropractic. It was always my lifelong dream to become a chiropractor. I saw at a very young age how chiropractic worked, and it really intrigued me. Chiropractic has helped so many members in my family that I decided to choose a career path as a chiropractor. Even if you don't see your insurance provider on this list, don't worry! Many insurance plans are subsidiary to a main insurance provider. Please call our office so that we can determine if we accept your insurance plan. ""I am SO thankful I came to Greater Cincinnati Chiropractic! I have had chronic back pain for years. I came because a friend of mine has had amazing results as well. I was taken back by how thorough the Dr was with explaining what was going on in my back! Thank God we caught the issues now and I am already seeing great improvements in just a few weeks.""